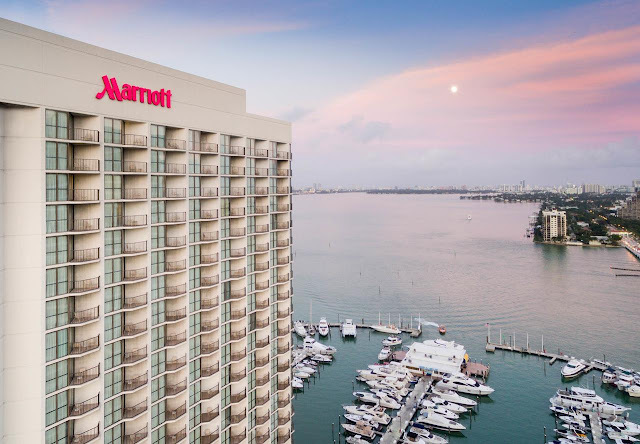 Reserve a room at Miami Marriott Biscayne Bay and enjoy modern hotel accommodations, dining, event space and a scenic downtown location near the port. This 31-story hotel overlooking Biscayne Bay at the eastern edge of downtown Miami offers superb views, and is 1 mile from Bayside Marketplace, 2 miles from the Port of Miami. Amenities at the conveniently located Miami Marriott Biscayne Bay include a marina, an outdoor pool, and a fitness center with views. All guestrooms at Miami Marriott Biscayne Bay offer desks with ergonomic chairs, WiFi, and smart TVs with cable channels. Room service is an added convenience.